To this very day, just east of what used to be Persia but is now called Turkey, two countries that haven't got along have spurred up violence once again. In what is now called Armenia and Azerbaijan, from the historical conflict brewing in the Nagorno-Karabakh region just after 1918, after the war ended. Both countries claimed their independence, and in doing so, decided to pick away at their various regions as to who gets what in terms of land and regional influence. The Nagorno-Karabakh region, almost the size of either Rhode Island or Connecticut, whichever way you slice the pie, has been a hotbed of violence that has spilled over into modern day ordeals. In some ways, it looks as though Azerbaijan still wishes to be connected with the old Soviet Republic Bloc, now known as the Federated Russia after Putin began modernizing his forces. 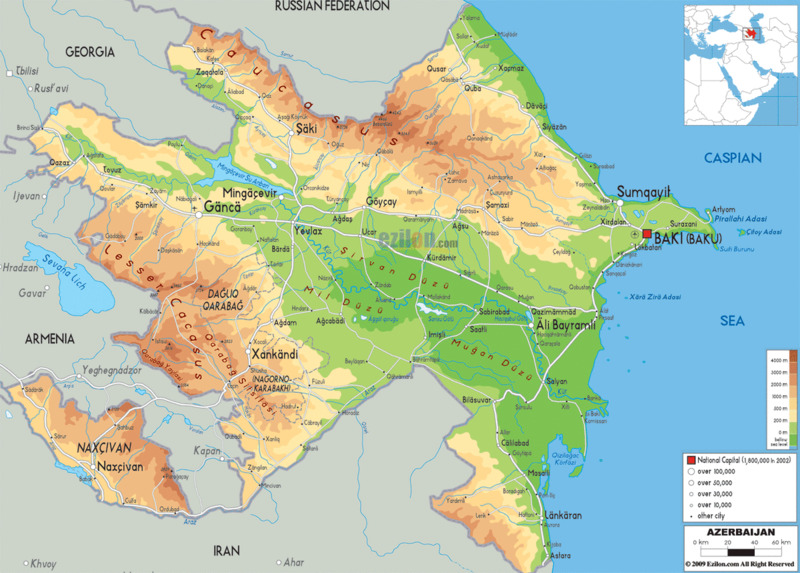 In 1991, the Nogoro-Karabakh Republic broke down into all out war when the predominately Muslim Azerbaijanis began to attempt a coup and hold the Nogoro-Karabakh region for themselves. The predominately Christian Armenian population thought it best to take up arms in support of the Nogoro-Karabakh Republic in order to maintain security and peace in the long term throughout the various provinces and regions around the southeast of Armenia and southwest of Azerbaijan. This just turned into bloodshed, causing the loss of thousands of lives and ending in a decade-long freeze of relations with Nogoro-Karabakh Republic and Azerbaijan that associated with the now Federated Russia. In 1994, after the war ended, it wasn't the end of hostilities that have continued to wage losses on an almost daily basis along the border lines. It seems the insurgents that wish to up mantle the rather tense region have been rather successful in violating a ceasefire that has been in effect since 1994. It seems to be that the Armenians have begun to show that they wish to be a part of what is now NATO, coming before the U.N. to discuss the many violations that occur from both militants and the Azerbaijan Military against the Armenian outposts that are located on the border. As of recent, Federated Russia has come to the aid of Azerbaijan, allowing for a heavy weapons drop of the offensive kind in the port city of Baku. This doesn't come as a shock however, only because of Russia's recent interest in the Syrian War against ISIS and rebels alike, along with Turkish Relations and Iranian Alliances. It would seem plausible that a land corridor would be needed to breakthrough to Turkey and onward into Southern Europe if a third World War did develop in any manner, whether directly or proxy. A direct path from Azerbaijan through Armenia would be vital for supplying troops in a coordinated manner rather than by air would be a golden road for Putin. As of Present Day, What country do you see Armenia allying with in near future in a time of war? 2400 B.C.E. - Around 2400 B.C.E., the territories of Armenia became the mythological and religious home of the famous supposed Ark. It was stated in the Book of Genesis, the land of Arat was the location in which Noah's ark made it's final, everlasting slumber; Although it was never found. 2300 B.C.E.- The territories of Armenia are founded by the Patriarch and founder, "Hayk". The Akkadian society, within their various stories, talk of the Armenian lands to the northeast. 120 B.C.E. - In the Armenian Highlands, there was evidence of a strong but decentralized tribes that had rivaled that of the Hittites, Assyrians, and Egyptians. Most of the tribes had alliances with the Turkish princes that held power from would now be modern day Turkey. There was one particular text that dictates the purchase of over a hundred horses that hailed from the Armenian Highlands. 782 B.C.E. - The capital city of Yerevan, was once the Fortress of Erebuni. It was a stronghold built to repel almost every invader that came across its gates. It is now a thriving, modern-day city that has been facing political struggles and various proxy conflicts with its neighbor, Azerbaijan. 512 B.C.E. - After being annexed by Persia in 512 B.C.E, Darius I decides to name the newly acquired territories by the name of Armenia. 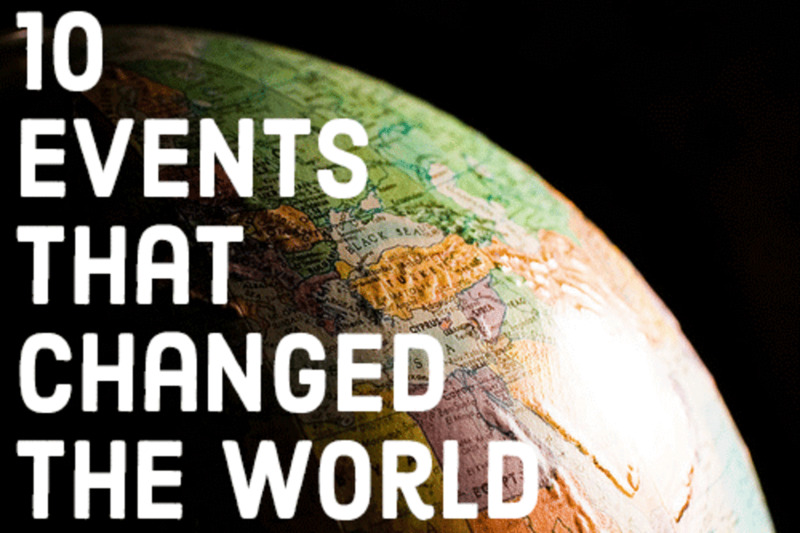 This is the first time in history that the name Armenia was used. 331 B.C.E. - Alexander the Great attempted to conquer Armenia unsuccessfully from Darius III. This, in turn, allowed for Armenia to claim it's independence from Persia. 95 C.E to 330 C.E. - Various Roman Invasions ensued until Armenia proclaims it's independence once again in 392 C.E. 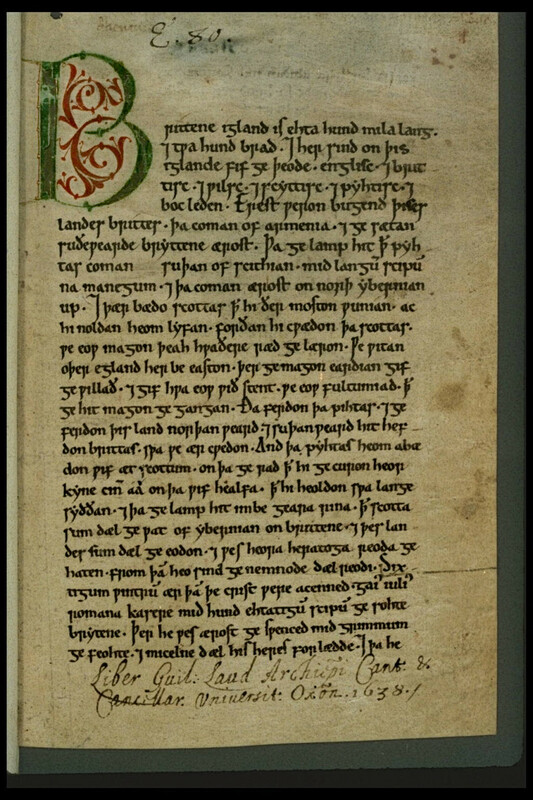 406 C.E. - The Armenian Aphabet is created under Mesrop Mashtops. 458 C.E to 1639 C.E. - The Christian/Muslim Wars are major factors in Armenian affairs. 1826-1828 C.E. - During the last of the Persian - Russo War, Persia eventually had all possessions from Armenia taken from them. 1915 C.E. 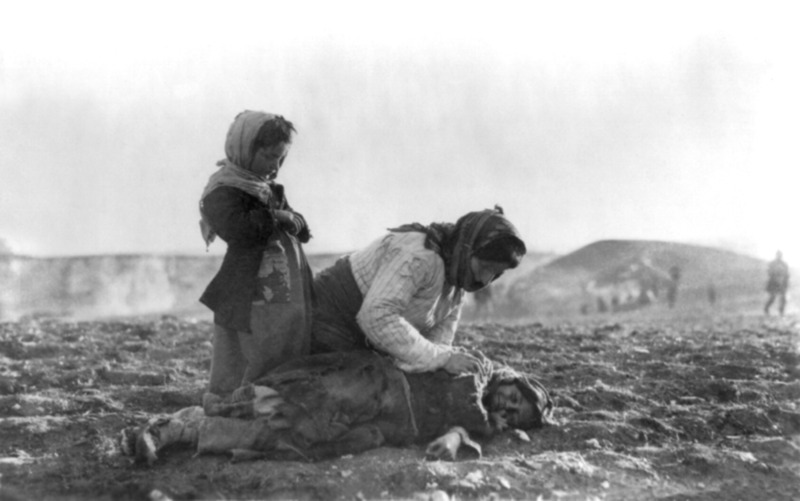 - Armenian Genocide came into play, lasting until 1923. The Ottoman Empire, or what is now modern-day Turkey, forcibly coerced over 1.5 Million Armenians into prison camps where they were executed with finesse (This Particular genocide was mimicked by the German military when millions of Jewish people were massacred privately. 1922 C.E. 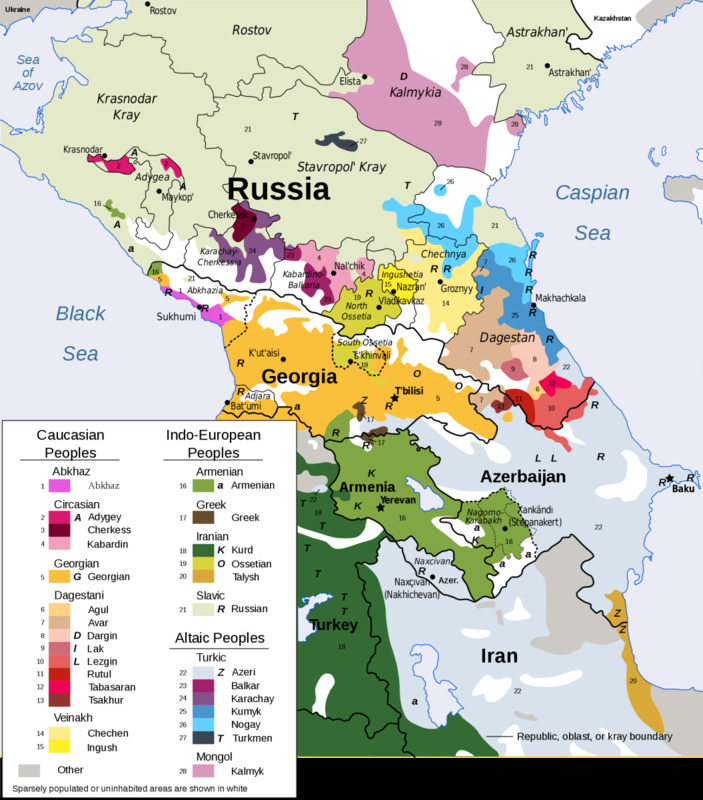 - Armenia is taken under Soviet control, made into a subordinate socialistic republic within the Transcaucasian republics, comprised of Armenia, Georgia, Dagestan, and Azerbaijan. 1991 C.E. - Armenia declares independence from the dissolved Soviet Union, creating the Democratic Republic of Armenia. 8th Century B.C.E. - Azerbaijan was once known as Albania, according to ancient Assyrians. It seemed as though the South Caucasus region surrounding what is now Azerbaijan was the crossroads in which the inhabitants branched from for trade, settlement, and other purposes. 550 to 330 B.C.E. - Azerbaijan flourished until first conquered by the Achaemenids that had suddenly come crashing down into the region. From the Achaemenids came the spread of Zoroastrianism (The Religion Zoroastrianism was a mixture between the dualism of the cosmos and a belief in a Pre-Islamic Monotheism brought by Persians). This period lasted until the daring uprising conquests of Alexander the Great from Macedonia, which according to historical context, brought great bouts of scientific discovery, art, and tacticians which hailed from the region. 190 B.C.E to 428 C.E. - A particular Armenian Kingdom that owed its allegiance to Parthia under the Arsacid Dynasty. 4th Century C.E. - Under King Unayr, Azerbaijan while still fully subordinate to Sassinid Persia, proclaimed and adopted Christianity as it's vassal kingdom's religion. 1000 C.E. - Arab Kufa Military made conquests into Azerbaijan, taking land left behind by those that once called Azerbaijan their home. The Crusades were in full effect at this stage of history. 1722-1736 C.E. - Ottomans while Iran was in a civil war took over much of Azerbaijan, while during the Russo-Persian wars, Imperial Russia under Peter the Great, took Baku and surrounding areas. 1848 C.E. - The World's first oil well is found and drilled just south of Baku in Azerbaijan. 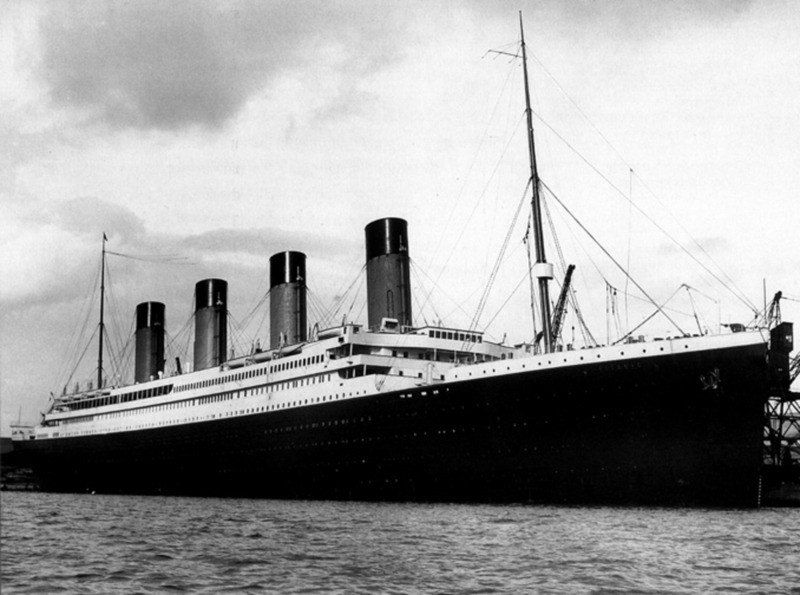 1920 C.E. - Soviet Russia during their height openly invade Azerbaijan, declaring it part of the growing Soviet Empire. 1988 - 1994 C.E. 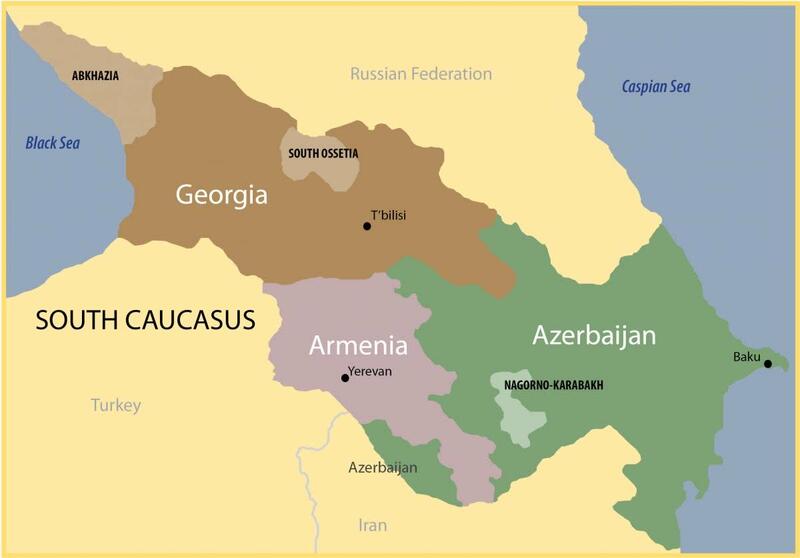 - Nogorno-Karabakh , a small republic nestled in both Armenia and Azerbaijan, began to seek membership with strictly Armenia in 1988, resulting in a full-scale war between Armenia and Azerbaijan. By 1994, the Armenians had full control of Norgorno after the ceasefire agreement, with the Armenians allowing Norgorno independence along with owning a large portion of Azeri territory. 2002 C.E. - Massive Pipeline begins in Azerbaijan, connecting Turkey to the Caucasus Region. 2008 C.E. - Clashes between Armenia and Azerbaijan begin in a bloody, month-long conflict over Nogorno-Karabakh, once again dividing ties and placing a strain on the two countries. 2016 C.E. - Russia is found sending offensive weaponry to Baku via its naval port, placing suspicion of a future conflict that may arise. Sporadic ceasefire violations are found along the border of Azerbaijan and Armenia. It's important to note that in 1988, Armenia was supported by Greece and Nagorno-Karabakh Republic. 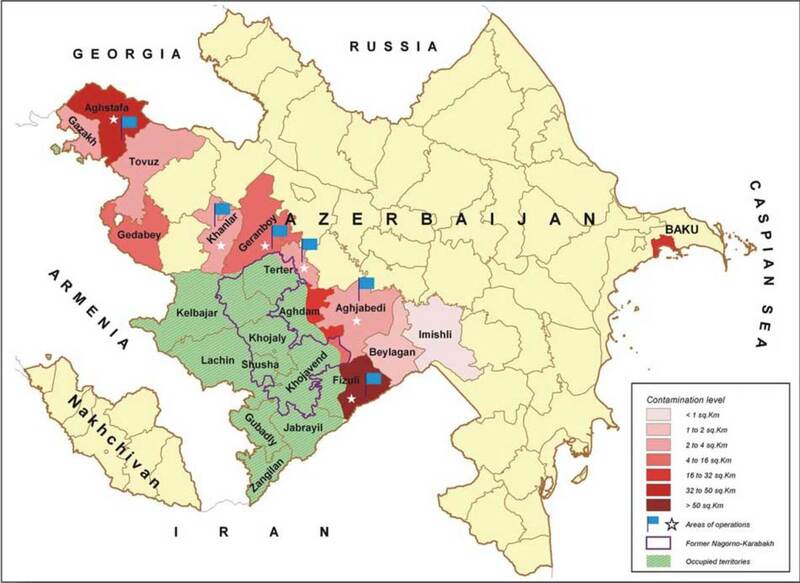 Azerbaijan was supported by Israel, Czechoslovakia, Russia, Ukraine, Turkey, and Afghanistan. 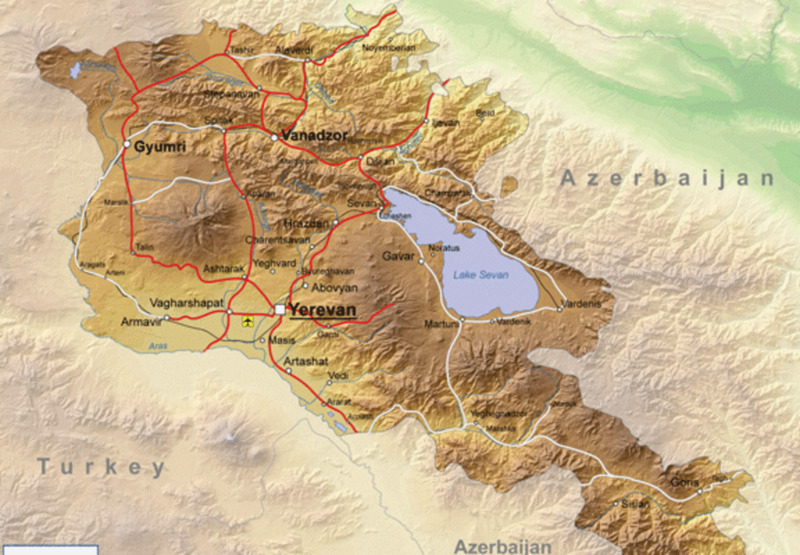 1991 to 1994 - Nogorno-Karabakh War, resulting in numerous deaths, Armenia eventually winning the conflict with Azerbaijan losing land to both Armenia and Nogorno-Karabazh. 2008 C.E. - Armenia and Azerbaijan break out into another bloody war over Norgorno-Karabazh, hundreds of deaths occurring from the series of events. 2015 - 2016 - After the Ukraine-Russia Proxy Conflict, Russia is seen handing Offensive Weaponry to Baku in Azerbaijan, and also defensive weaponry to Armenia, creating a sense that a future conflict is to begin in the near future. Also, during the recent civil war of Syria, Russia has been seen playing a hand in all the recent conflicts, either directly or indirectly, from political and espionage to full-scale military assistance. It would seem to be that a land corridor would be needed in order for Russia to have the pathway needed to progress into future conflicts with other Mediterranean/Caspian/Black sea countries. There seems to be a growing divide between two clarified sides of the growing conflict between Azerbaijan and Armenia. Azerbaijan, already having a very strong relationship with both Iran and Russia, has seen an increase in Turkish relations as well, pinpointing that strategy that a land corridor is likely in the near future. Armenia, on a rather defensive side of the coin, has called for NATO membership, allied with Georgia and Afghanistan, along with other European Countries in the Baltic that would come to their aid in light of a fresh, open conflict. There is a growing urgency within Azerbaijan to open up an oil pipeline that would connect Russia with Iran and Pakistan, along with Afghanistan and then westward through Turkey towards Europe. Azerbaijan is also known for its golden land bridge connecting various Asian and middle-eastern novelties such as spices up to Russia for enjoyment. It seems to be that the Armenian - Azerbaijan Conflicts between both themselves and with Nogorno-Karabakh involved will not end soon. There is a lot of influence at play as both countries offer various resources along with a trade-route that gives rise to import-export finesse. As long as there is any conflict between the two countries, it seems that there will be opportunities for infrastructure development, transfer of war-time materials, on and so forth. It also remains to be seen if Russia has a special card in her deck for use on both countries as a whole. In order for Russia to access with ease the eastern countries of Europe, along with Africa and the middle-east, it would need a land corridor. By keeping both Armenia and Azerbaijan on its knees with economic turmoil and the supply of both defensive and offensive weaponry, they remain weak politically. There is much more to say about these countries, but one thing is certain, all surrounding countries, from Iran and Iraq, to Turkey and Russia, all want a piece of the action that is Armenia, Azerbaijan, and Nogorno-Karabazh.